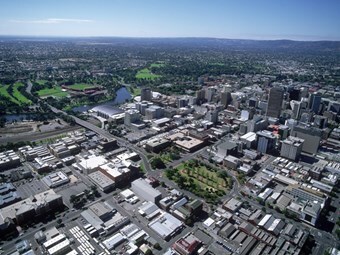 Transfield Services has failed to meet contractual benchmarks for Light-City Buses' on-time running in Adelaide’s north-south region, according to a State Government performance review. The latest quarterly performance review shows the buses were on time only 62.2 percent of the time. a fee adjustment of $45,000 will apply to Transfield Services. "While Light-City Buses has made continued improvements in their contract areas, on-time running in the North South is still below benchmark," Fox says. "My Department will continue to work closely with the company to see where we can build on the improvements made in the July-September quarter." Despite the company’s performance, Fox says, overall, Adelaide bus services have improved on-time running due to new priority bus lanes and a timetable overhaul. Fox says the review shows bus services using the priority lanes have improved by up to 12 percent in on-time running. The July-September performance review shows on-time running improvements of 10 to 12.7 percent for services operated by SouthLink, Light-City Buses and Torrens Transit. SouthLink and Torrens Transit have met contractual benchmarks in all four of their contract areas for the quarter and will not incur fee adjustments.